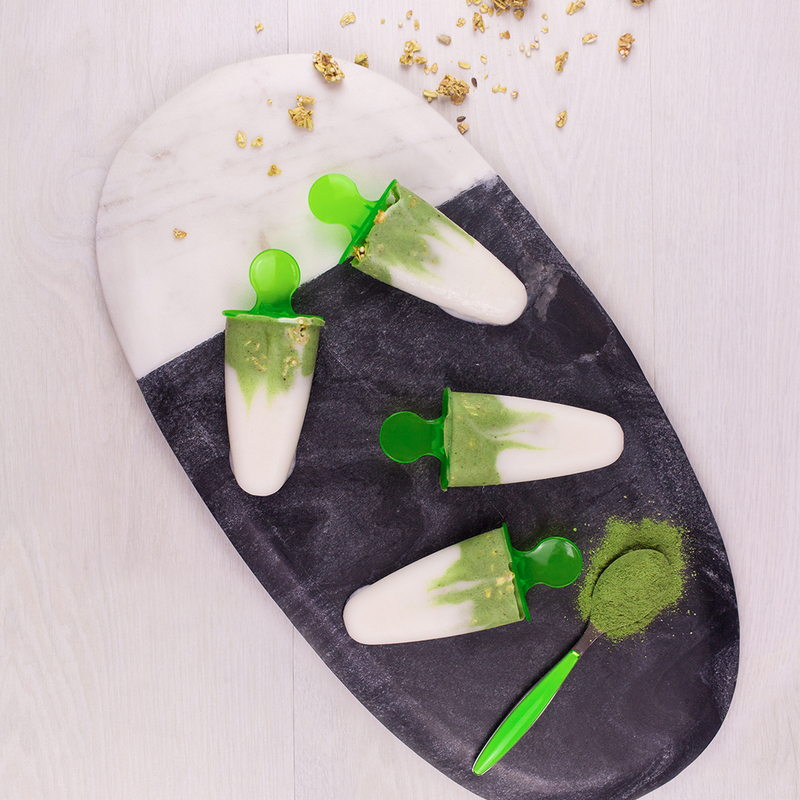 These Supergreens Coconut Lollies taste amazing! They are a novel way of giving your kids a healthy breakfast or dessert without them knowing it. You can customise these lollies by swapping out granola for your favourite cereal. Try adding berries to the yoghurt mixture for a textural twist. You could also use Greek yoghurt if you prefer. Mix together the coconut yoghurt, milk and maple syrup/honey then separate half of this mixture into a bowl. Add the Supergreens powder to half of the yoghurt mixture and stir until it is smooth and lump free. Divide the plain yoghurt mixture between the ice lolly moulds, then place the Supergreens yoghurt mixture on top of this. Using a skewer or a knife, poke the Supergeens mixture down into the plain yoghurt mixture to give a swirled effect. Sprinkle the granola on top of each of the lollies, put in the lolly stick and place into the freezer for at least 4 hours to set.